A deadly fire tore through the 24-story F.R. Tower, on Thursday, March 28 in Dhaka, Bangladesh. The second in a year, the fire claimed the lives of 25 people and left over 70 people injured. 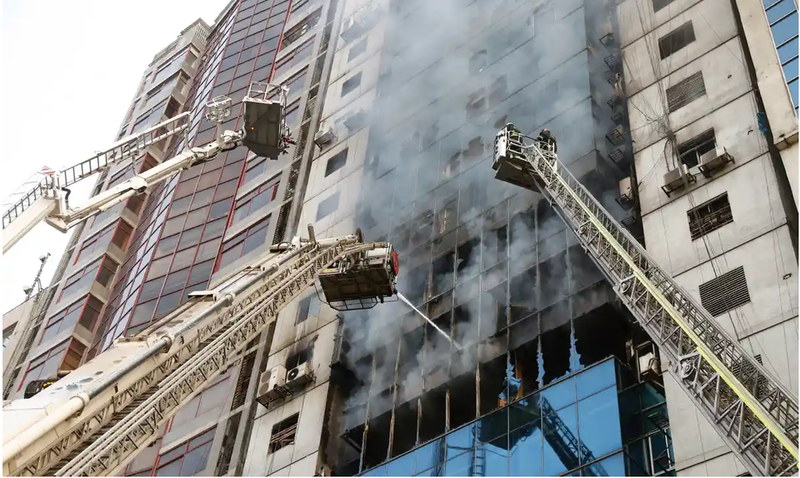 Mostaq Ahmed, Gulshan Division deputy commissioner of the Dhaka Metropolitan Police, stated that no other bodies have been found after the fire department’s search through the building’s remains. Authorities have launched an investigation into the cause of the fire. Whilst an official cause has yet to be declared, the minister for public works and housing, Rezaul Karim, indicated that violation of building safety code is the most probable cause. The fire took hours to tame, so much so that the Bangladesh Fire Service was assisted by navy and air force specialists to maintain control over the situation. Ataur Rahman, a nearby restaurant employee, was one of the many onlookers of the disaster. "I could hear the screams of people trapped inside the building," recounted Rahman. "Soon after the fire spread on the seventh, eighth and ninth floors, people started breaking window panes to get out. "Then I witnessed the most horrible scene - people falling from the top floors while trying to climb down the wires in the building. I saw two people falling down. Helicopters dangled ropes outside the building for trapped civilians to hang onto and ladders rescued more than 100 others. Six people leaped to their deaths. Bangladesh has a history of poor building safety enforcement and inspection. The other building fire that took place earlier this year claimed the lives of 70 people and injured another 50 people. The fire spread to five buildings in Chawkbazaar, a place known for its narrow and winding roads, where buildings are built in a compact arrangement. The area is also known for illegally storing chemical goods in residential buildings, which was also the cause of the fire. Authorities are still in the process of cracking down on illicit chemical storage. According to Enamur Rahman, the minister for disaster management and relief, the F.R. tower had little fire safety measures. "Had there been a proper fire extinguishing system, and fire drills to train inhabitants inside the buildings, then those deaths could have been averted," explained Rahman. Authorities are also investigating the owner of the building, who only had a permit to construct an 18-story building but, extended it to 24-stories. The country is, unfortunately, no stranger to building disasters and was witness to one of the worst disasters in 2013. Rana Plaza, a nine-story factory complex, collapsed and led to the death of 1,130 people with an additional 2,000 injured. "We have long been telling different civic authorities that most of the high-rises in Dhaka are constructed in violation of the existing rules. 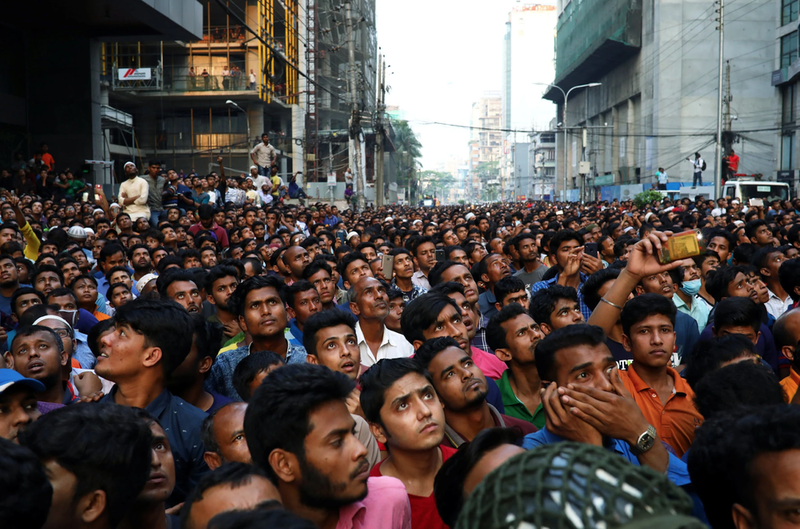 But before a tragic accident like this happens, no one pays heed to our concern," said Mehedi Ahmed Ansary, the director of the Bangladesh Network Office for Urban Safety at Bangladesh University.